Located along the Hicacos Peninsula on the northern coastal tip of Cuba, almost 100 miles east of Havana, Varadero is one of the largest resort towns in the Caribbean. Superbly set between the Bay of Cárdenas and the Straits of Florida, this package-holiday paradise is defined by a 13-mile stretch of gleaming white sands backed by iridescent emerald Atlantic waters. Often referred to as Playa Azul (translating in Spanish as ‘Blue Beach’) this beloved seaside destination combines upscale Caribbean chic with a distinctly Cuban flavour – most apparent at the super-swanky mega hotels that line its palm tree-lined shores. The city of Varadero was officially created in 1887 when ten prominent families from the nearby city of Cárdenas were permitted to build their holiday homes on its shores. The first hotel opened in 1915 and this sunny enclave soon became a playground for the elite. However, it was not until 1928 – when American millionaire and chemical manufacturer Irénée Dupont built his lavish estate in the rocky hills of the San Bernardino crags – that Varadero rocketed in popularity. Named Xanadú Mansion – inspired by English poet Samuel Taylor Coleridge’s poem Kubla Khan in which he describes the palace built by the legendary Chinese warrior as a ‘stately pleasure-dome’ – this Renaissance-style property brought a further touch of class to the area. Constructed from precious timbers, mahogany, cedar and marble, the mansion exuded opulence with 11 bedrooms, 11 bathrooms, three large terraces, seven balconies, a private yacht harbour and lavish Art Deco interiors. Other wealthy Americans followed Dupont’s lead and tourism rocketed in the 1930’s. Whilst Cubans were banned from Varadero unless they owned property here, the town became a hedonistic haven for socialites and celebrities, among them Ava Gardner and Cary Grant. The most notorious of visitors was Prohibition-era gangster Al Capone, who was rumoured to live in a coral-stone beachside cottage at the town’s western end. When the Castro government came to power in 1959, all Cuban beaches were declared public and therefore accessible to all Cubans. The wealthy fled and their properties were expropriated from their owners. The palatial Xanadú became a guesthouse with an adjacent golf course (today the mansion serves as the club house of the Varadero Golf Club) and other extravagant homes became museums. Al Capone’s ‘cottage’ became a restaurant named La Casa De Al, although the jury is still out as to whether or not the Chicago mobster actually lived here. Nowadays Varadero is a hotbed of tourism and most of the hotels operate as all-inclusive resorts with the stunning beach at their core. There are over 30 dive sites in the surrounding area for scuba divers or snorkellers keen to explore carefully-preserved coral reefs and underwater caves; for those who prefer to stay dry, operators offer endless sightseeing voyages on glass-bottomed boats, sunset cruises and high-powered speedboats. The spectacular coastline offers an idyllic tropical setting for those content to live the desert island dream by spending lazy days on the powder-soft white sands beneath swaying palms. The beach is equally satisfying for those looking for exhilarating water-based diversions such as jet-skiing, canoeing, parasailing windsurfing, sailing, yachting, aqua biking and kayaking. For a laid-back Caribbean vibe in an ultra-chic location, Royalton Hicacos Resort & Spa is an award-winning, adults-only resort. Located just steps from the brilliant white sands and glistening waters of Varadero Beach, this five-star all-inclusive gem is dedicated to relaxation; from 404 sumptuous suites in plantation-style houses to a full-service spa offering a signature massages and other pampering treats. 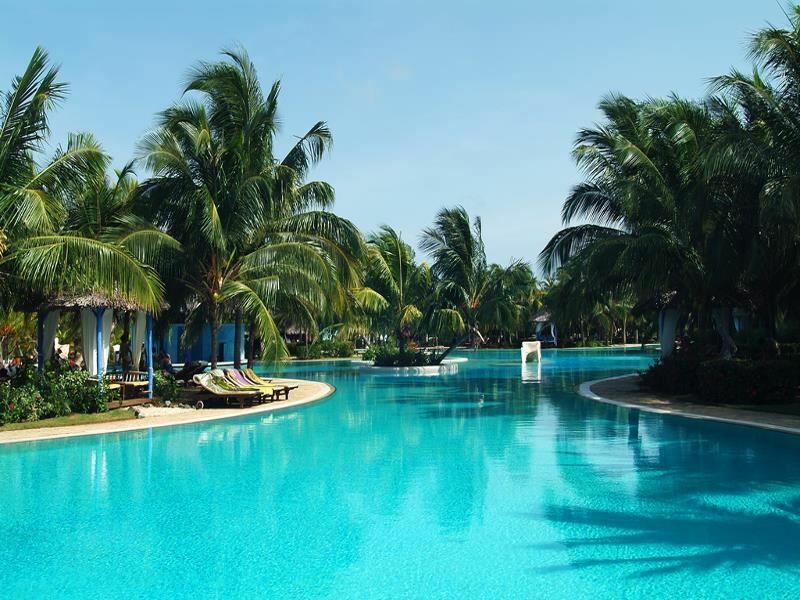 Spend days unwinding on the beach, knocking back mojitos at the resort’s swim-up bar or taking a dip in one of the resort’s three freshwater pools. If you can drag yourself away from your sunlounger, active pursuits include scuba diving, windsurfing, tennis, paddle boats, kayaks, sailboats, basketball, squash, beach volleyball and more. Gourmet lovers can savour unlimited local and international cuisine in five themed restaurants; enjoy exquisite fish dishes at Las Morlas, Italian delicacies at Don Pasquale and Caribbean fare at El Caribe. Other attractions include six uniquely different bars including a cigar bar, an exclusive shopping promenade, a state-of-the-art fitness centre and nightly live entertainment. 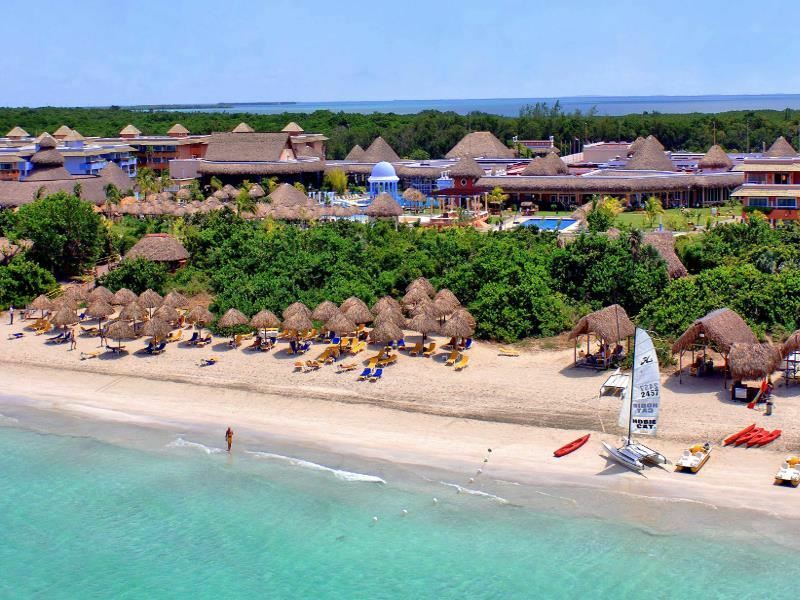 Located on a gorgeously secluded crescent-shaped section of Varadero Beach, five-star Paradisus Varadero is perfect for families. 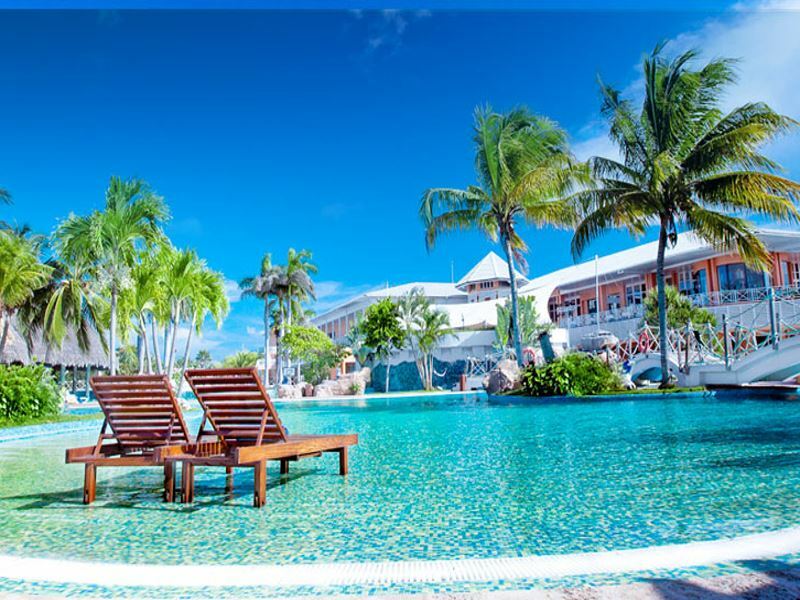 There are 510 guest suites set in a series of one and two-storey buildings nestled in the beautifully manicured tropical grounds; each is spacious and offers views of either the gardens or the ocean. Book one of the beachfront master junior suites complete with living room, outdoor shower and a Balinese bed on the terrace or balcony – or splurge on the Royal Service package that includes a butler on-hand 24 hours a day catering to your every whim. There are three swimming pools; one solely for sports and games, one freeform pool with a children’s section and one for the exclusive use of Royal Service guests. Other facilities include three tennis and volleyball courts, a fitness centre, a tranquil spa featuring a relaxation terrace and two Jacuzzis and a kids’ club catering for babies, toddler and teens. The resort also features ten bars and eight restaurants serving a variety of à la carte options. Set right on the beachfront, five-star Iberostar Varadero mixes classic colonial-style décor with affordable Caribbean glamour. Each of the 386 tastefully-decorated guestrooms and suites are spread across 11 low-rise buildings and all feature either a balcony or terrace. Highlights include three outdoor freeform swimming pools, four bars and four great restaurants serving mouth-watering local and international dishes. Active types can take part in the extensive programme of activities including horse riding, basketball, catamaran sailing, kayaking, windsurfing and golf whilst more laid-back guests can bask in the sunshine, take a yoga class and enjoy an aromatherapy massage at the tempting Wellness Spa. The resort also appeals with a kids’ club operating daily for children aged four to 12 and also offers a babysitting service (extra charge) for when their party-loving parents discover Discotheque Gaz 53 Iberostar Varadero, the hotel’s nightclub. The most thrilling way to get around Varadero is to cruise the streets in a bright yellow Coco Taxi – a three-wheel spherical-shaped vehicle with a domed roof. Designed to seat three (including the driver) this Cuban equivalent of a rickshaw zips round town at surprisingly high speeds. Prices vary but it is cheaper than getting a taxi and a lot more fun. Head to Josone Park located in downtown Varadero on Avenida 1 between Calles 55 and 58. Named for José Fermín Iturrioz y Llaguno and his wife Onelia who owned the Arrechabala rum factory in nearby Cárdenas, this nine-hectare public park was designed as the couple’s country retreat and completed in the 1940’s. Perfect for afternoon chilling, it is filled with landscaped gardens, tropical birds, gazebos and a gorgeous artificial lake laced with palm trees. There are also several restaurants and cafés, children’s play areas, a bowling alley and a public swimming pool. For a glimpse at the peninsula’s prehistoric past, venture underground at Las Cuevas de Bellamar located five kilometers southeast of Matanzas. Discovered in 1861, this 300,000 year-old geological attraction awes with a 500-metre cave system filled with incredible natural crystal formations. Descend around 100 foot underground through striking halls of stalactites and stalagmites and take up the invitation to drink from the seductively-named Fountain of Youth and Fountain of Love. After the 1959 revolution, Fidel Castro denounced golf as a ‘bourgeois’ hobby and subsequently closed the Cuba’s courses. The only one to survive his regime was the Varadero Golf Club, which currently enjoys its status as the island’s only 18-hole, par-72 golf course. Set on the shores of the peninsula overlooking the ocean, this 6,269-metre course is open to the public and also permits children to play. Once you’re done at the 18th, head to its famous clubhouse – the colonial mansion that was formerly Xanadu. 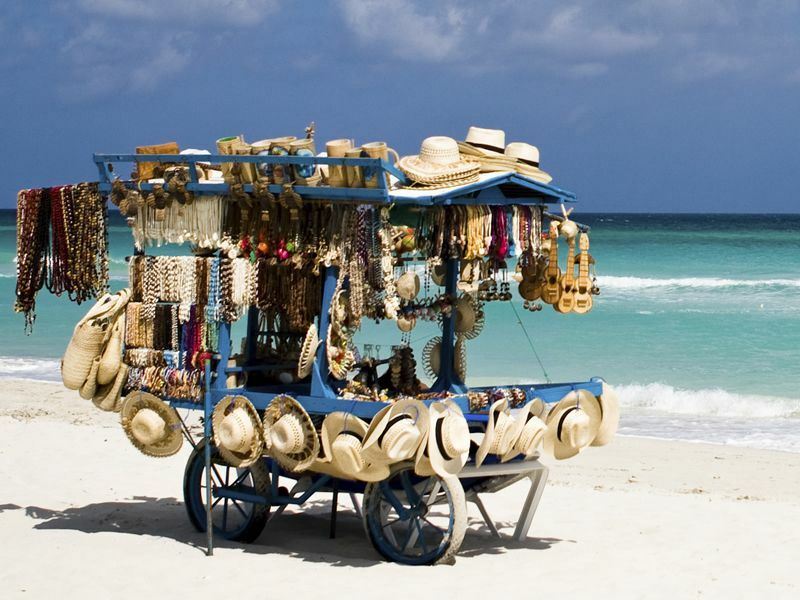 Whilst Varadero (and Cuba in general) is unlikely to fulfil most shopping fantasies, the Plaza las Americas in downtown Varadero is stacked with souvenirs, beach apparel, jewellery, local handicrafts, keepsakes and curios. Browse the state-run ARTex store for all things Cuban (especially music) and buy cigars from Casa de los Tabacos, the best-stocked shop in Varadero on Avenida 1 and Calle 38. Another souvenir-hunting ground is the Artisan Market at Calles 15 and 16; don’t dare to leave without a Che Guevara t-shirt or a hand-painted box of wooden dominos.